Some of these will be subjective, but I like helping so here’s a few things I think are useful to know or do. Automatically switch the camera between the main battery guns: Can be done manually with C, it’s better to learn to do something manually than have it suddenly happen on its own when you don’t want it to. Collision Avoidance System: Same reasoning as above, but even more important because the CAS is just so bad. 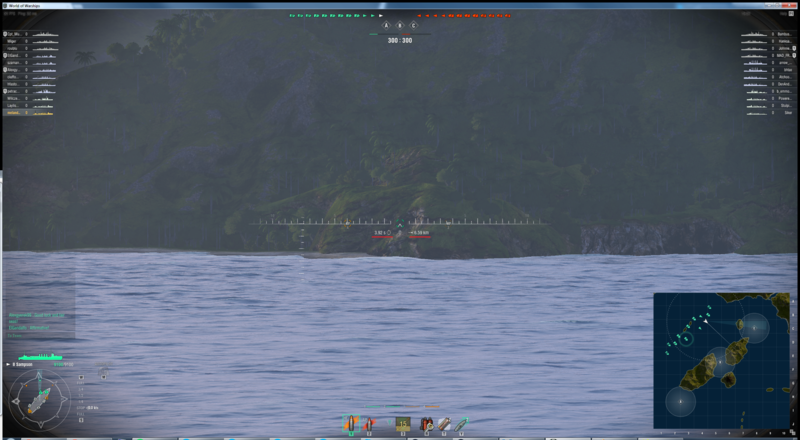 Display Team Panels: Will show all the ships at the top left and right corners of the screen. Increases combat awareness. Always good. Alternative battle interface mode: Same reasoning as above. Shows the names and health of all ships always. More information is a good thing. I think it’s best to just read through the keybindings yourself but the quick rundown of some neat features that I get asked about a lot from new friends trying the game out are here for you. Lock on to a target: Aim at them and press X. Lock your guns in a specific direction: Hold down CTRL and press X. 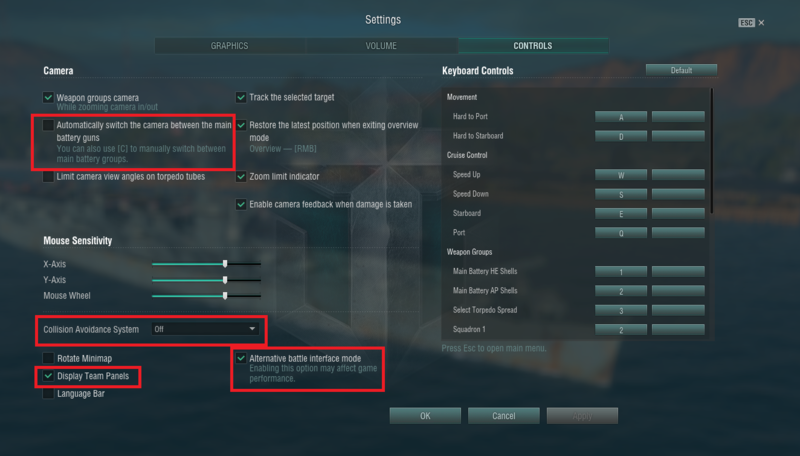 Quickly look around without changing the direction of your guns: Hold down the right mouse button and your camera “disconnects” from your main battery. This also works if you’re zoomed in and is really important to do if you want to avoid tunnel-vision while still maintaining your lead on whatever you’re shooting at. 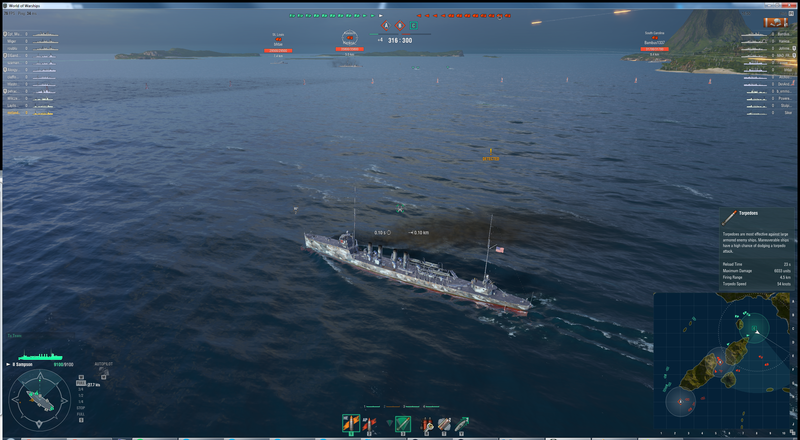 Disable AA and secondaries: Press P, this is really important for Destroyers that want to stay hidden when their AA suddenly opens up on nearby aircraft, revealing your position. Fire control: If you double click the left mouse button, all ready cannons fire at once. If you hold down, they fire one after the other. You can change the size of it by pressing + and – on your keyboard. 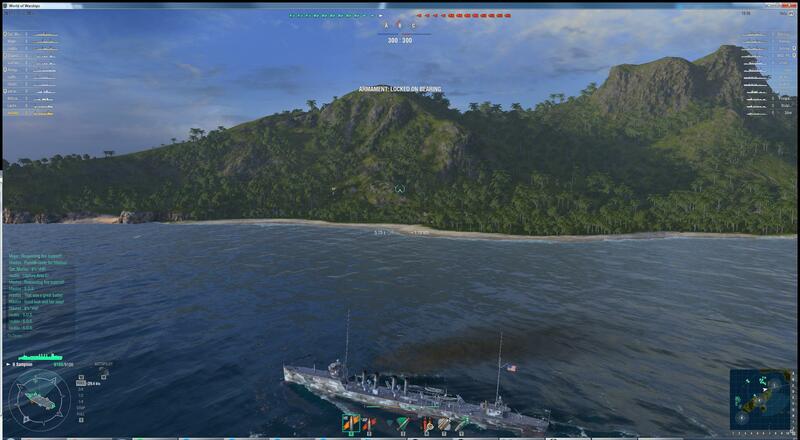 I strongly recommend just maxing it, always, unless your monitor is exceptionally low-res. 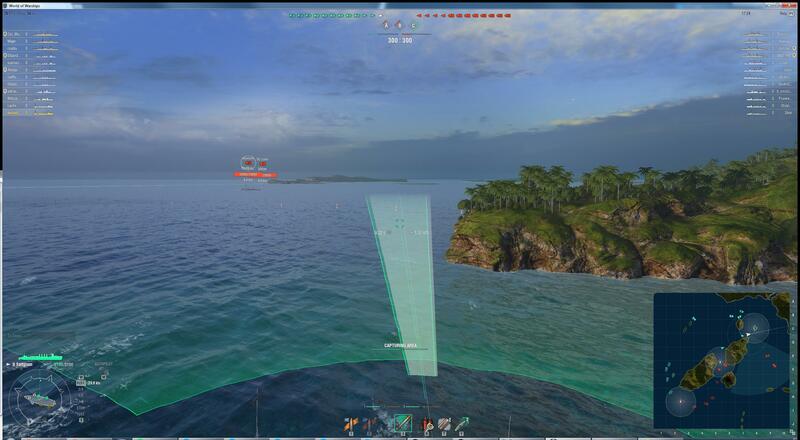 Forgot how far your torpedos can go before they disappear? If you hold down CTRL your mouse cursor will appear. You can now hover over icons to get a description for them, works for your weapons and consumables and even medals that appear in the top right.